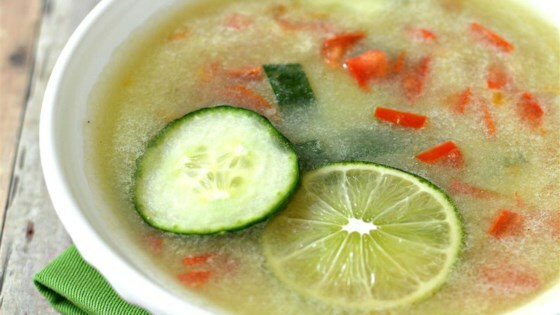 "Healthy five-ingredient cucumber soup that is delicious and refreshing." Place 2 cucumbers in a blender; pour in chicken stock. Blend cucumber mixture until smooth and pureed; pour cucumber puree into a large bowl. Chop the remaining 2 cucumbers. Stir chopped cucumbers, tomato, lime juice, and cayenne pepper into pureed cucumber until well mixed. Refrigerate until chilled, at least 30 minutes. The pure, cool, sweet flavors of fresh tomatoes and cucumbers make this ideal for those hot summer days. I used English cucumbers for this along with farmers market fresh tomatoes.